I love to entertain, as you all well-know, and at the core of any party are the florals. 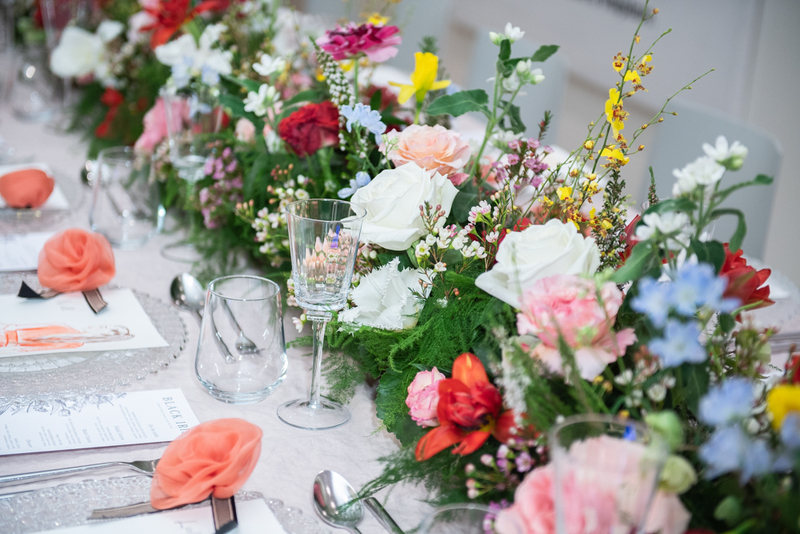 I was lucky enough to have met Arthur Golabek in the Hamptons, and he helped create some unbelievably beautiful floral arrangements in my home. Recently, he opened up his own business here in NYC, lucky for all of us, and his first big project was for my ShopBAZAAR x Black Iris Launch Dinner. 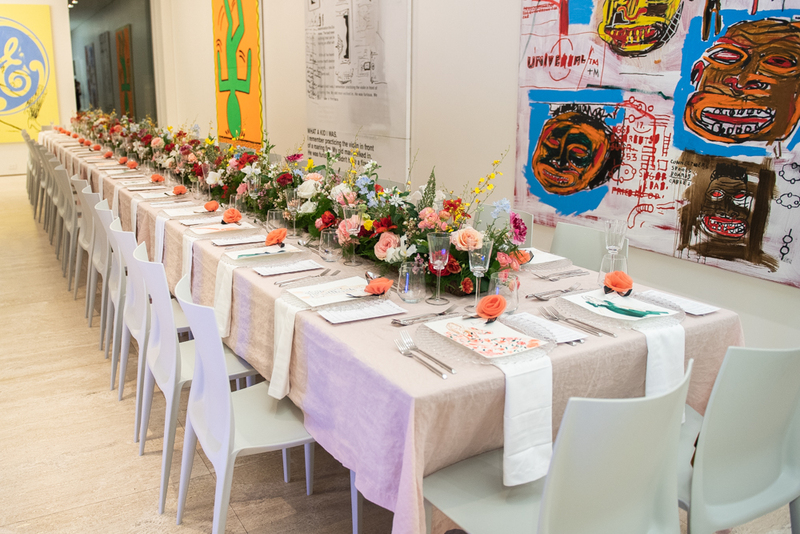 The table was outrageously beautiful, filled with bright, wild flowers, that lit up the room. He interpreted our vision for the launch to perfection, and was so lovely to work with. If you are looking for a new florist, he’s definitely your guy. Meeting Marisa Hochberg, head of wellness for the Surf Lodge, was inspirational. She began her health and wellness journey with her own weight-loss battle. She lost 75 pounds through her exercise and nutrition plan and has kept it off ever since. 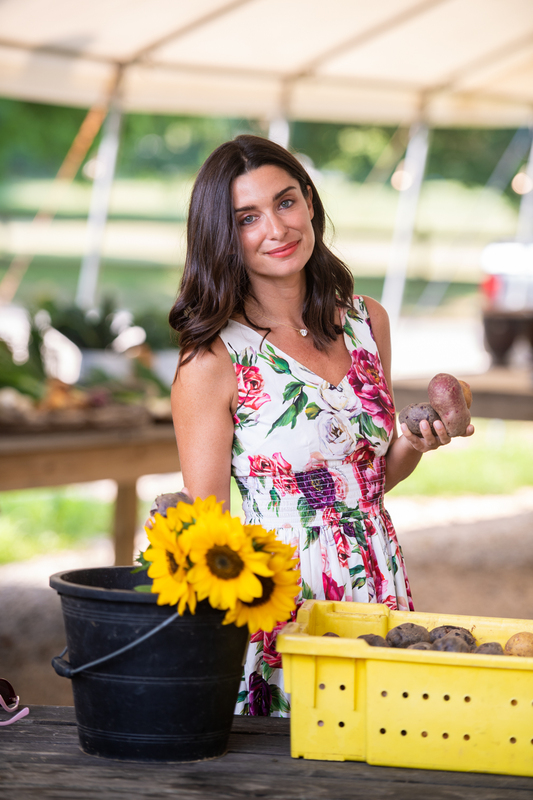 Marisa has created a wellness retreat for the local and visiting community in Montauk. She has recently partnered with ABCV for the nutritional component of the retreat going on this Fall in the Hamptons. 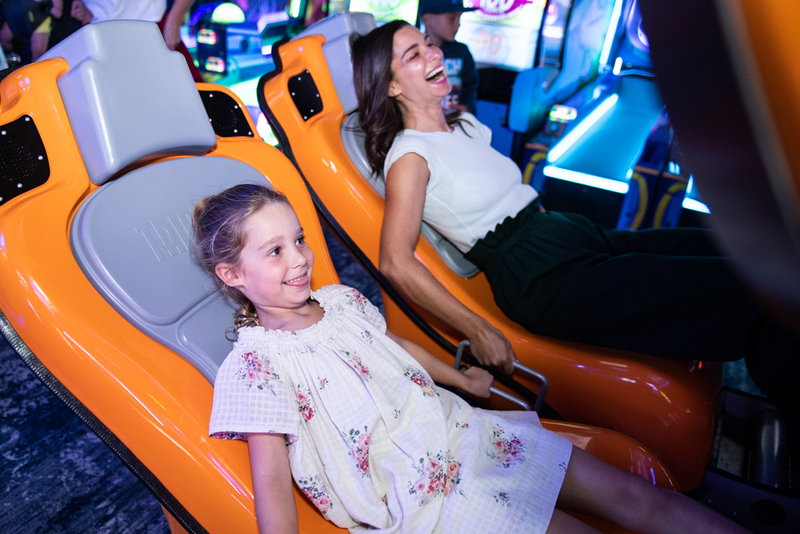 Additionally, she has partnered with Camp Soul Grow for family night’s every Wednesday which include kid-friendly healthy meals, live music, and crafts activities for the children in the community. For a long time, I struggled with finding great rainy day activities in the Hamptons. In the past, I've always either come up with fun arts and crafts projects from the penny store, or visited some of the galleries and museums, but those aren’t full day activities. 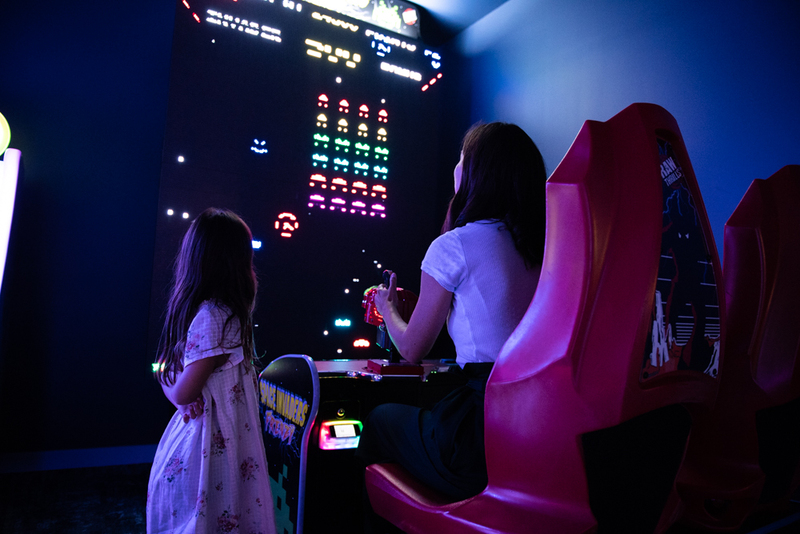 But now, just in time for the Fall/Winter season out east, The Rubenstein family has opened up the most incredible game center in East Hampton next to the airport, and it’s called the Clubhouse. They have a bowling alley, indoor/outdoor sports bar, incredible arcade, and mini golf. My girls and I had the best time playing all of the games! 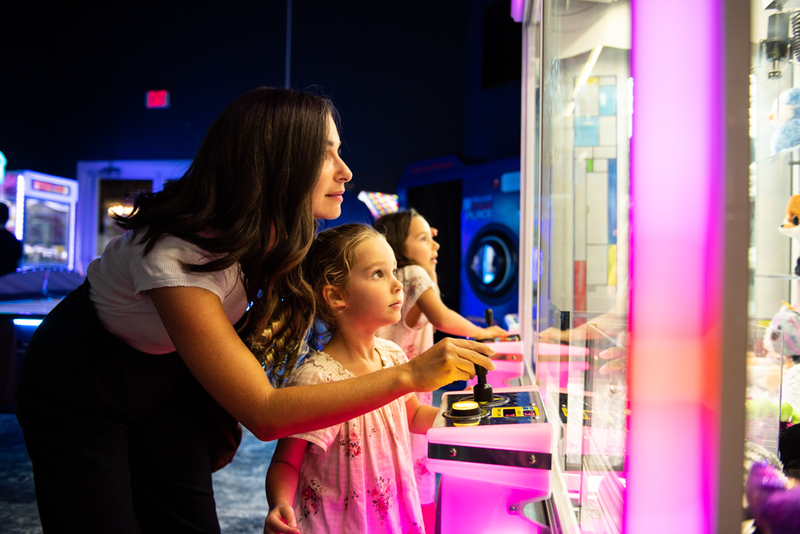 I’m excited to have this clubhouse around all winter long, as it’s great for family fun when you want to escape the cold. For a long time, I thought the only public gardens out east were at the Longhouse Reserve. I did some research, and found a beautiful, zen spot even closer in Sagaponack, at the Madoo Conservancy. Madoo feels very private, intimate, and special. There are many sweet little nooks and crannies carved out, with colorful flowers on vines, and mini ponds where my girls liked to stand and make wishes. There are shaded areas to go and read a book for some down time, or possibly stroll through for a romantic evening at sunset. This hidden gem is a must-see as the seasons and leafs begin to change. Mecox Bay Dairy Farm - Say Cheese! I love a good farm stand, and for as long as I can remember, I’ve shopped at the Ludlow’s family farm. They have owned the land for the longest time, and split it between the potato/corn farm and the dairy farm. My girls love going to visit the cows every morning, and feeding the chickens after camp. Recently they opened up a shop on the property of Mecox Bay where they sell all of their artisanal cheeses, milks, and fresh eggs. Going there all summer to stock our house is a real treat, that I will miss as the seasons change. If you get a chance, ask Pete Ludlow to visit the baby cows in the back of the farm where they offer kisses, and bring your camera to capture the special moment! 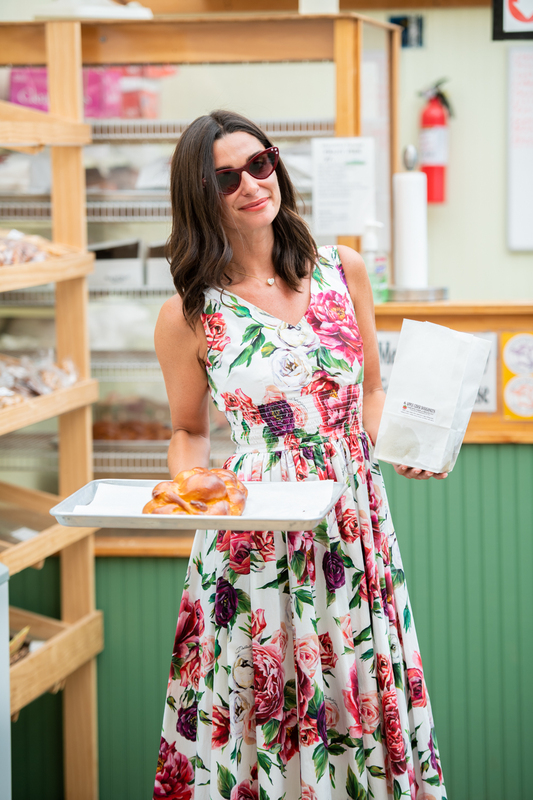 Sunday funday was spent at the beach pit of the Surf Lodge in Montauk, where I hosted friends and family for a day of children’s activations and delicious mini bites. Monica & Andy put together a great roster of activities including DJ lessons, making customized hand painted jackets, building sand castles, and face painting. The kids snacked on mini lobster rolls, chicken fingers, crudités, mini grilled cheese, and fresh little spoon smoothies packed with healthy ingredients. Monica & Andy had a booth filled with the cutest printed onesies, dresses and pajama sets, my favorite being the banana leaf print! 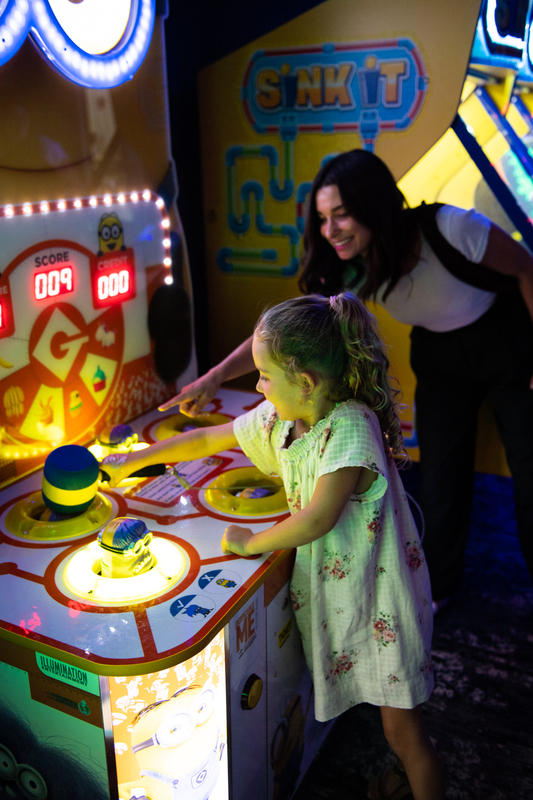 Everyone enjoyed mingling and the kids had a fun-filled day, which is really what Sundays are all about! A win win! Buying an evening gown, or any dress, for that matter, for a very special occasion, pains me, because I end up spending a fortune on a look I’ll only wear once, that then, retires to my closet. I hate to be wasteful, so thankfully Armarium, founded by Trisha Gregory and Alexandra Lind Rose, is a company that allows me to wear beautiful, current collections for a night, for a fraction of the price, to be returned the following day. Trisha has had relationships with all of the top designers, as she has worked in the industry for years, and has curated the best selection of designer pieces for her showroom. 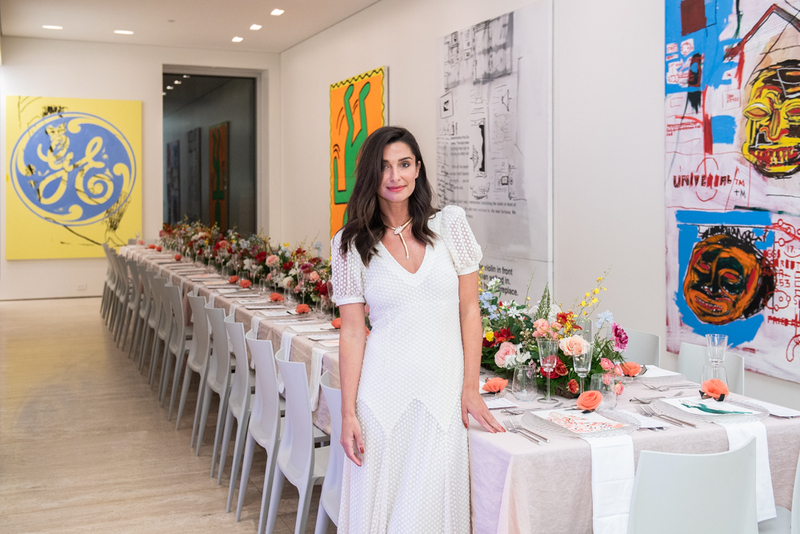 This summer, she spread her wings to the east end and has opened her first pop-up shop in Southampton, located at 28C Jobs Lane to make it accessible for all of us attending the numerous events and parties in the Hamptons. Having been in education the majority of my life, and teaching children with learning disabilities, I know the importance of various therapists to help young children find success. Many children I worked with struggled with speech in some form, and finding a great speech pathologist that goes above and beyond to connect with each child is a priority in fixing the issue. Luckily, Andie Schneider opened up her own speech pathology practice in New York called New York Speaks, and she has expanded her services to the Hamptons this summer. She works with both children and adults, and does home visits to make the session convenient for parents on the east end. The best catering in the Hamptons is hands down the lovely ladies at Hamptons Aristocrat. Lucky for us, this year, they have opened up their first restaurant located in Bridgehampton, and it’s my very favorite brunch on the east end. 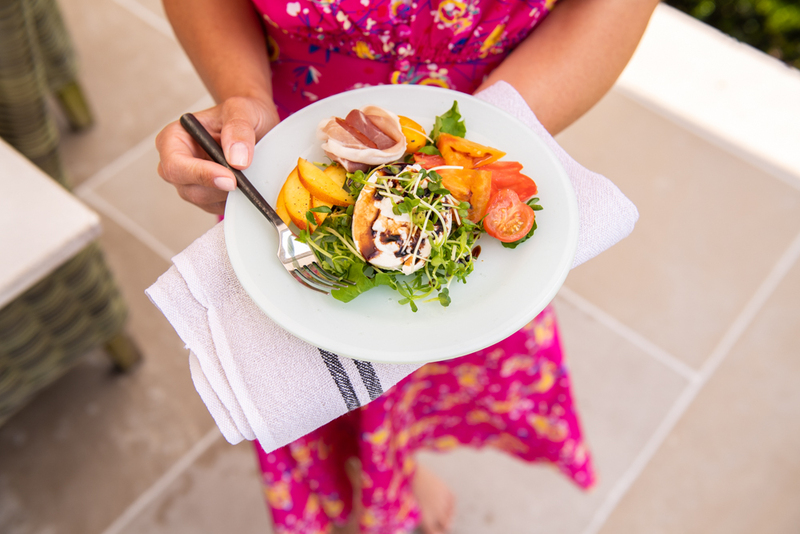 Everything they cook is all-natural and organic, from local farms, and they garnish with herbs and flowers from their own garden on the property. Their presentation is eco-friendly and absolutely beautiful, always with a pop of color and flavor. My favorite on the menu is their tuna tacos, garnished with avocado and herbs. Louisa and Lexi are two of the cutest best-friends I’ve ever met, and they are a damn good duo in the kitchen. 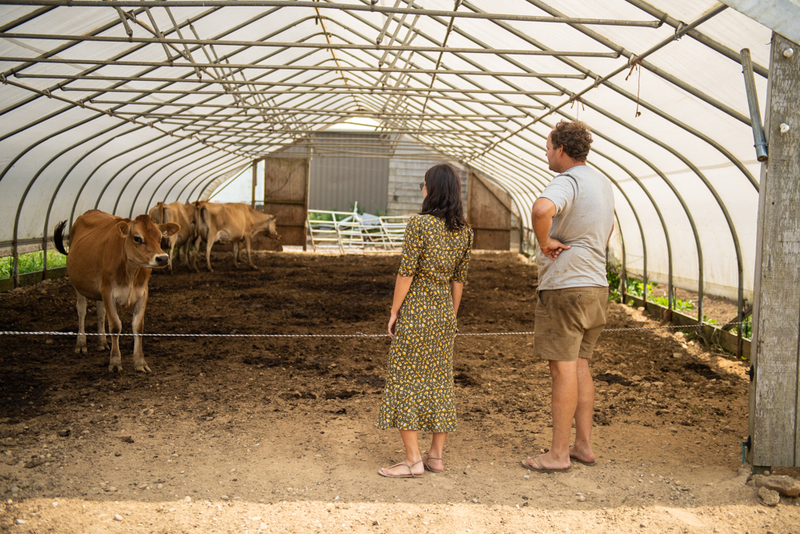 They gave me the best lessons on which farms to shop for the best produce and dairy, and I could’ve stayed to hang with them all day because they are such a pleasure. If you want take-out for a picnic on the beach, or a day on the boat, they offer that as well behind the counter. 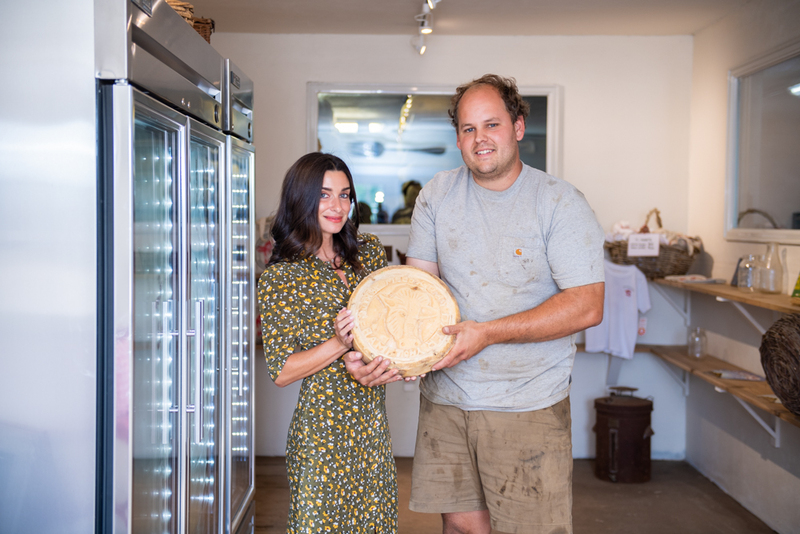 A new store has hit the town of Sag Harbor, with its magical old-world aesthetic, and vintage finds. Love Shack Fancy, a women’s wear brand founded by one of my best friends, Rebecca Hessel Cohen, has opened up shop, and everyone has taken notice. She has brought her signature floral, shabby chic style to the beach, and mixed it with an eclectic assortment of accessories, including handmade dolls, beach totes, pillows, throws, and vintage clothing. Rebecca, a former stylist, knows how to put a look together better than anyone I know, and her store is the ultimate proof of that talent. I’ve watched her build this brand from scratch, and seeing her dream come to fruition with the opening of this beautiful shop has made me so proud. 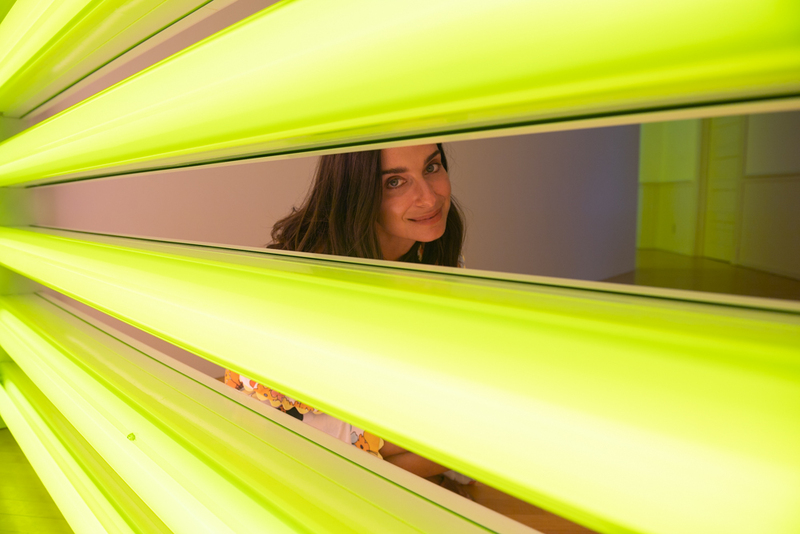 If you haven’t already been, it is a must-see while in the Hamptons. 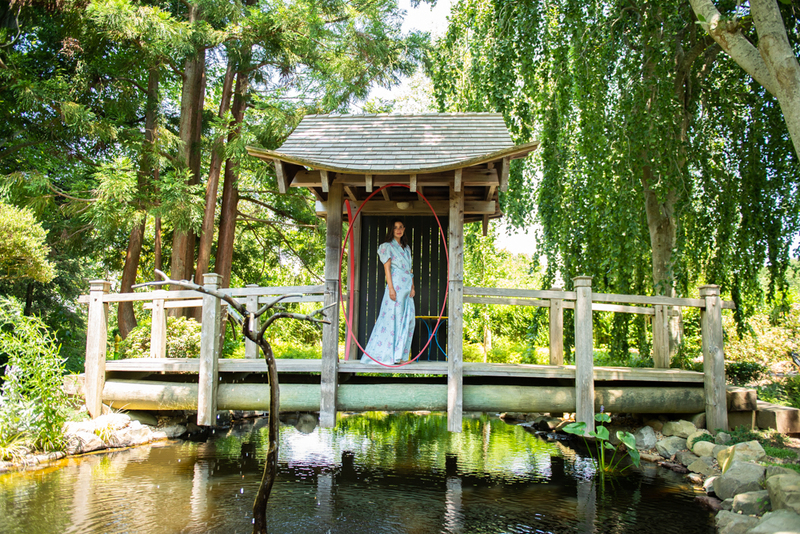 Her dresses reflect the laid back, boho vibes of Sag Harbor, so this shack is truly in it’s element. WEBSITE: http://loveshackfancy.com ADDRESS: 17 Main Street in Sag Harbor, New York. Sag Harbor is probably my favorite town in the Hamptons because it still has all of its original bones, and it’s located on the water. We have been spending even more time there recently because my girls love to watch the boats and grab an ice cream, and I love its new great addition, goop MRKT, located across from the marina. 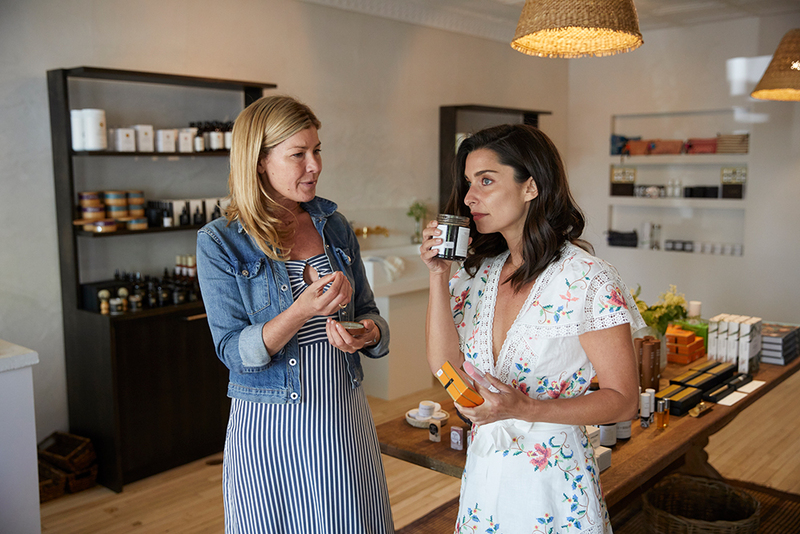 goop Sag Harbor opened Memorial Day Weekend and has since become my one-stop-shop for all my natural beauty needs, with everything from Tata Harper and Rahua, to Organic Pharmacy and Dr Sturm. I basically do not need to go any place else for products. They also sell some of my favorite dress designers for minis, like Lindsey Berns, and have amazing beach pieces for me, like the black Marysia jumper, that you can see in the photos above! 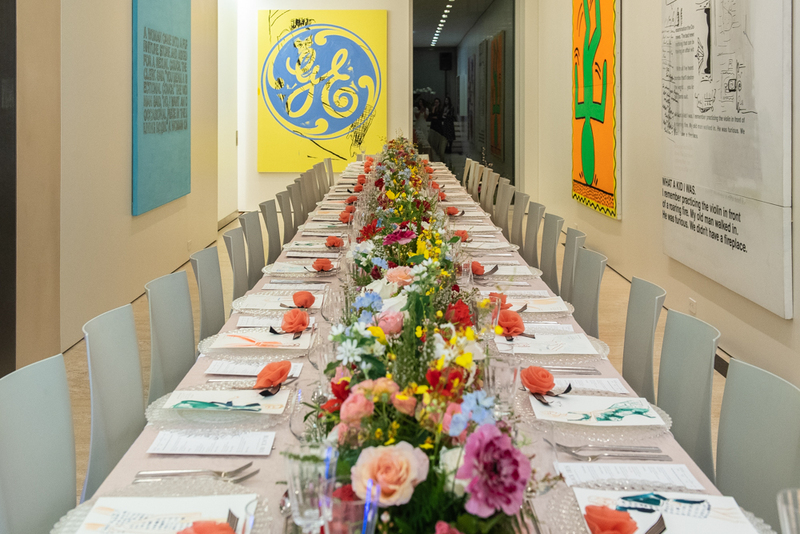 The goop Sag Harbor space is stocked with some the best selection of home decor pieces, particularly their tablescape items, like the napkins and glassware. You can also find a selection of Hamptons-specific handbags from Prada, a summer-inspired fashion closet from Saks, and goop's own line of apparel, G. Label. The store is open daily from 10am - 6pm until September 3. You can find it at 4 Bay Street, Sag Harbor, NY. While spending much of my time this winter in Miami, I took up running on the beach. Running is a lot harder on my legs, knees and feet, so my body had a hard time adjusting and therefore I was more prone to injury. Luckily, I was introduced to Troy Training, who does house visits, and has a very special technique for stretching the muscles and circulating the energy flow of the body. Troy saved me from many aches and pains, and we are so fortunate to now have him in the Hamptons all summer! Being an avid Tracy Anderson Method client, my body tends to feel very tight. Stretching is not really incorporated in our workout and therefore, Troy plays a large role in keeping my body aligned and pain-free. He uses a machine called the Raptor, which really gets deep into your muscles, and loosens up the joints to relieve stress and tension. He is a true healer for any of us who workout regularly, particularly with regards to high-impact exercise. Every time summer rolls around, parents can’t help but stress about ticks. There are many tick-related diseases, but I think the scariest of them all is Lyme. I check my girls head to toe everyday, spray them with bug spray, and coach them to stay away from tall grass. However, on the east end, with all of the deer, it’s become a real threat. I was thrilled to find out about a dear friend’s new business venture, The Tickkit! Amanda Godfrey, Mama of 2 boys, was petrified each summer and decided to help all parents by providing a kit with all of the tools and instructions needed for proper tick removal. She even includes the envelope, addressed and stamped, to send into the lab, so that you get everything solved as quickly as possible. When it comes to our children, it’s time sensitive, so definitely have your home stocked with these kits all summer long. For casual BBQs, July 4th dinner celebrations, a girl’s lunch, birthday, anniversary, or simple light bites and cocktails, the Culinistas have you covered this season on the east end. I always get requests from people in the Hamptons who want private chefs, and never before did I have a phenomenal group to recommend, until now. I have used Jill and Tiana’s chefs many times now, so I know that the menu will be fresh, and food delicious. 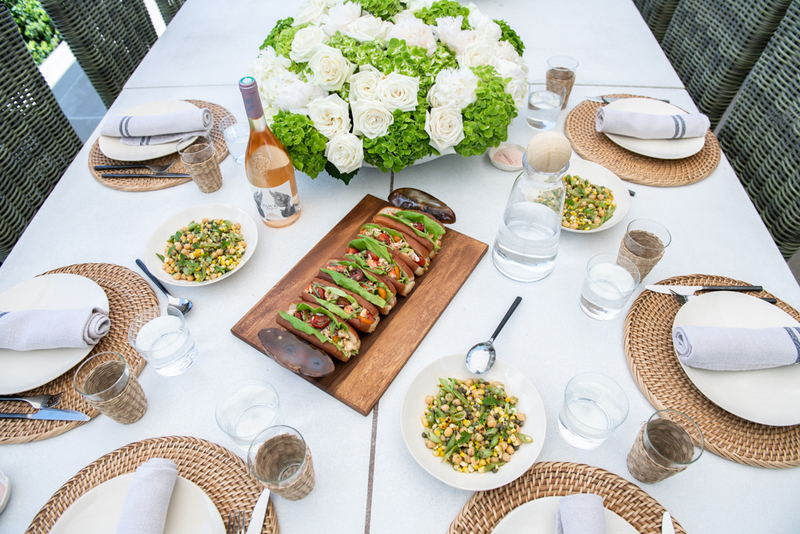 The two girlfriends started their business in NYC, and realized the demand out at the beach in summertime, so they have set up shop to help with all of your catering needs, and last minute get togethers. They also provide prepared food delivery in case you do not have time to rush around 27 in crazy traffic to go food shopping. Try to contact them in advance as they have become very popular!